The information and communication technology (ICT) boom of the 1990s significantly influenced higher education and opened the way for harnessing it to enhance education. It influenced the way knowledge was developed, disseminated and acquired and in effect, opened up vast opportunities for enhancing teaching and learning. E-learning and subsequently, open educational resources were some of the innovations that this era produced. Commonwealth of Learning has described OER as “digitised materials offered freely and openly for educators, students and self-learners to use and re-use for teaching, learning and research”. Knowledge and educational materials became accessible in ways that were hitherto extremely restricted. The value of such resources to educational institutions in developing countries is even more significant considering the many challenges they face as the resource constraints deepen and student intake increases. 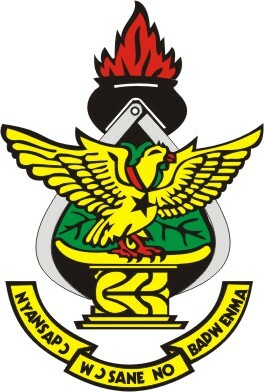 Kwame Nkrumah University of Science and Technology (KNUST), like other institutions in developing countries, has had to deal with an ever increasing number of students, inadequate faculty, insufficient funding, resource constraints, limited infrastructural capacity, low research capacity, and basic ICT infrastructure among other challenges. For example, the School of Medical Sciences which was originally expected to admit a maximum of 50 students per annum, has for the past 15 years enrolled more than 100 students a year without a commensurate expansion in resources and infrastructure. These challenges and the need to maintain the quality of the educational experience make the use of OER at KNUST attractive. The first encounter of KNUST leadership with OER was at a workshop held in Accra in 2008 and jointly sponsored by the Hewlett and Soros Foundations. The potential of OER in addressing some of the challenges faced by the College of Health Sciences in delivering quality educational content to clinical students was highlighted. Subsequent workshops at the Institute of Medicine in Washington DC and University of Michigan, Ann Arbor the same year threw more light on OER. In 2009, KNUST, through its College of Health Sciences (CHS), became part of an OER collaborative project funded by the Hewlett Foundation. The partners included the University of Michigan (UM), OER Africa, University of Ghana, University of Cape Town, and the University of Western Cape. Under the project sensitization, policy and production workshops were organized for administrative heads and faculty members which brought together staff from the College of Health Sciences, the KNUST library, the ICT Directorate, the Department of Communication Design and other parts of the university. This was part of a strategy to build a multidisciplinary team for the development and use of OER at KNUST. The OER concept was embraced with a great deal of enthusiasm, demonstrated by the several pilot e-learning and OER projects that were proposed by the faculty members who attended the first production workshops. A professor of internal medicine was subsequently appointed to coordinate OER activities in the College. Faculty members began creating instructional modules on self-selected topics in their areas of expertise using various formats. Authoring faculty proposed the specific subject and type of material to be developed. They received technical support from media specialists and web designers to create appropriate and user-friendly content and designs suitable for publication. Reviewers then checked the materials for copyright and other issues prior to their publication by the web administration team on KNUST’s dedicated OER website which serves as a repository for the university’s OER materials. The process took advantage of the diverse expertise at the university to ensure efficient production of OER. The development of e-learning materials for teaching and learning in the College was also accelerated by the introduction of OER. The College benefited from the assistance of a visiting professor from the University of Michigan who spent one year at KNUST and dedicated most of his time helping faculty with OER development. Materials developed included medical, psychiatric, and obstetric case studies; clinical demonstrations as well as surgical and laboratory procedures using various formats such as videos, text and narrations; and the use of drawings, animations, graphs and other illustrations to enhance the learning experience. During the first six months, KNUST faculty completed seven (7) OERs from scratch with many more at various stages of completion. Even though no sustained systematic evaluation has been undertaken regarding the use of OER the benefits of these locally produced materials as well as their impact on teaching and learning became evident even at the early stages. Students considered the productions as a valuable enhancement, but not a substitute, to the traditional forms of pedagogy. Combining the traditional in-class learning environment with OERs enhanced self-learning and resulted in more quality contact between learners and faculty as students were already familiar with the material. The use of videos, animations and other illustrations also made complex and difficult-to-grasp scientific processes such as PCR and laboratory procedures easier to understand. The use of OERs promoted access on demand by students, better contact with the learning materials, learning at learner’s own pace and learner-centred approaches in teaching and learning. It facilitated the demonstration of clinical skills at the bedside and in the operating theatre to a large number of students. Students had access to a wide range of content outside the local resources. These benefits to both learners and teachers increased the acceptance of OER in the College of Health Sciences. The initial enthusiasm about OER was followed by a decline in the number of faculty actively producing them. This was attributed to a number of unanticipated challenges. For instance production required additional effort which was not rewarded. Other challenges included the lack of administrative, technical and infrastructural support for faculty; non-release of over-committed faculty from regular commitments to make time for OER related activities; and funding constraints which became more apparent as the programme grew. The few faculty members who continued to produce OER were mainly self-motivated. Others engaged in it as a form of electronic “hobby”. As the OER efforts at KNUST were part of a project based in the College of Health Sciences, wider institutional awareness, interest and support were lacking. It became evident therefore that the existence of an OER policy of the university was necessary in order to ensure its growth and sustainability. Establishing an overarching policy framework which is conducive to the creation and use of OER in KNUST was identified as a critical step if the OER initiative was to succeed. During the early stages, a workshop was held for the relevant administrative heads at KNUST to introduce the concept. Additionally, a review of the current institutional policies identified the need for an appropriate policy framework for OER. A committee was set up in 2009 to draft a policy on OER which was approved by the KNUST Academic Board in 2010 and published online in 2011. The policy seeks to address issues regarding human resource and budgetary allocation, infrastructure, collaborations, publication rights and licensing, technical support, review process and quality assurance, access, potential liability, motivation and academic rewards among other things. The policy for instance, states KNUST’s adoption of the Creative Commons licenses. The policy also addresses some of the challenges outlined earlier and paves the way for the institution-wide adoption of the OER initiative. The OER policy for KNUST, the first such policy in Africa, is ready for implementation and it is our hope that it will positively impact on teaching and learning across all disciplines in the university. The experience of KNUST and the College of Health Sciences in particular, revealed vast opportunities that OER brings to education. These include helping improve the quality of education, widening access to learning far beyond what is locally available to learners and reducing the costs of accessing educational materials. The experience also brought valuable lessons to the fore which could be useful for educators, policy makers and other stakeholders interested in a sustained use of OER in education. Early institutional ownership and integration, the development and implementation of an appropriate policy, wider stakeholder involvement including the Ministry of Education, faculty, and students, as well as sustainable funding and investments are essential factors in any OER initiative. It is also critical to incorporate the development and use of OERs into the regular teaching and learning processes, develop appropriate quality assurance processes, and metrics for evaluating its impact. Institutional networking and collaborations such as the African Health OER Network are among measures that will enhance sharing and create valuable synergies for sustaining the endeavour. OER has undoubtedly presented an opportunity for higher educational institutions in developing countries to create knowledge and use a wider range of educational resources. It can help educators bypass the long resource building period and enable them provide high quality education through open access. It further provides a platform for higher education institutions and faculty to become producers and contributors to global knowledge. Subscribe to get the latest articles from Educational Technology Debate sent directly to your inbox. Written by Peter Donkor on May 25, 2011 in Digital Learning Resources.